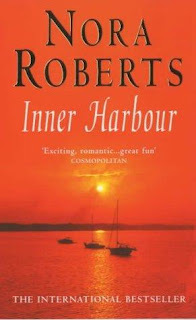 Inner Harbor is the third book in the Quinn Brothers series by Nora Roberts . Although the romance novel is considered part of a series, it's written to function as a stand-alone if you're not familiar with the other Quinn Brothers books. Phillip Quinn is one out of three adopted brothers taken in by loving foster parents after experiencing a rough childhood on urban streets. Now a mature, successful and wealthy adult, Phillip helps raise his foster father's rumored-biological son Seth with his brothers. With Phillip being the last Quinn brother without his own happy-ending marriage, Inner Harbor details the romance between him and Sybill Griffin, a mysterious woman who suddenly appears in town with ties to Seth. 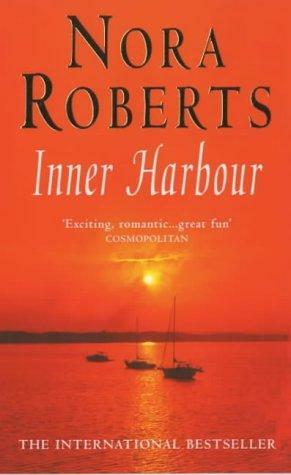 Inner Harbor contains the same formula present in Nora Roberts ' other series from this time period in the mid- to late-1990s. Every book begins by detailing how successful the main characters are after dealing with certain life hardships. They encounter love at first sight with someone in a quaint town, go on dates, and then experience some type of drama and minor tragedy that tears them apart for a chapter or two. The ending is butterflies and rainbows when they get married or get pregnant or both. The pros to Nora Roberts ' romance novels is that as a reader, you ALWAYS know what you're getting! If you need something easy and less intense to take your mind off things, OR if you need something motivating in the romance department, Nora Roberts is perfect! The cons are that the novels are all slight variations of each other and are too predictable. The characters rarely seem to be average either; we are always treated to their success stories of being incredibly rich, good-looking and holding several degrees from several elite colleges. Given the love scenes are quite silly and the dramatics are pretty over-the-top, the novels are entertaining in the way some of us watch Young and the Restless when we need a laugh and pick-me-up; both will never fail at being corny. The other books in this Quinn Brothers series are Sea Swept , Rising Tides , and after Inner Harbor , Chesapeake Blue . My favorite Nora Roberts ' trilogy of all time in this same style is the Irish Gallagher's Pub series, with the books entitled Jewels of the Sun , Tears of the Moon , and Heart of the Sea .